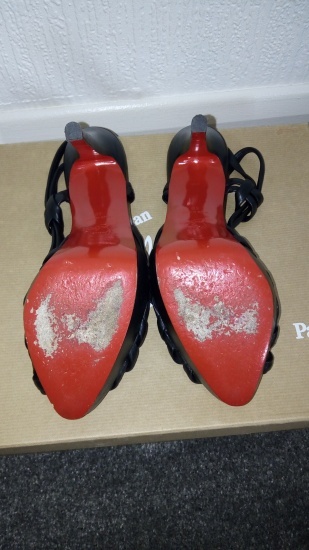 There in good condition with some wear on the red sole and a slight creasing on the inside sole which cant be seen while wearing them. 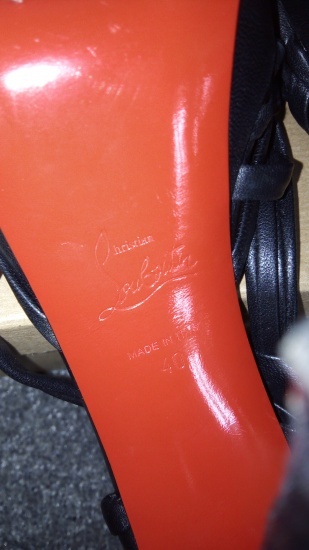 The red sole is easily replaced by a cobbler. 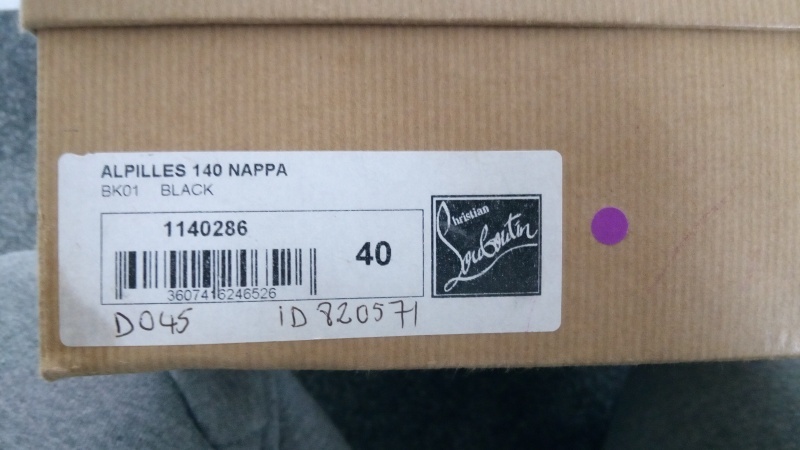 I was given a card for the recommended cobbler when i purchased them as this tends to happen to these shoes which i've left in the box. 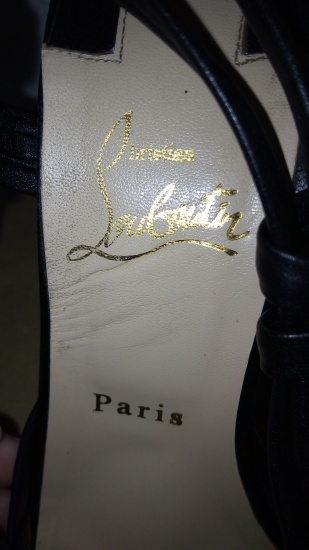 The criss cross straps across the toe is very soft and comfortable. 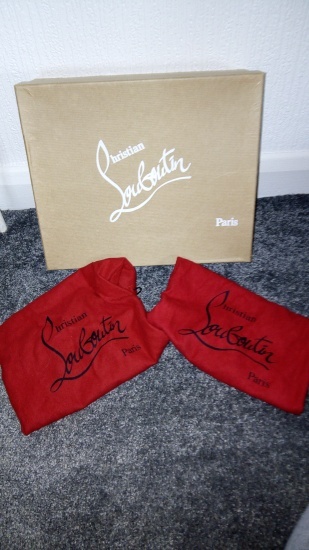 Original box and both red show bags still with it and as prefect as the day i bought them, the box has some very faint creases from being packed with other boxes but pretty much perfect as well.